First aid saves lives and reanimation is an important part of it. In order to be able to perform the correct steps in emergency situations, appropriate behaviors must be learned and trained by as many people as possible. Nevertheless, easily accessible training opportunities are quite rare. We therefore developed a virtual reality (VR) application, VReanimate, that teaches about aspects of first aid in a controlled digital environment. In the first part of this article, we describe related work and conceptual and implementation details of our approach, that is based on a non-textual and situated training in authentic scenarios. In the second part of this article, we present an evaluation of the system, including results concerning its usability and effects on the knowledge gain of different users. Conducting a mixed methods study, we were able to observe a significant improvement in regard to knowledge about correct procedures in emergency situations and could confirm our hypothesis, that a non-textual and situated design can be helpful for this purpose. We would like to thank Markus Görlich for carrying out several of the experiments conducted for this work. Bailenson, J. N., Yee, N., Blascovich, J., Beall, A. C., Lundblad, N., & Jin, M. (2008). 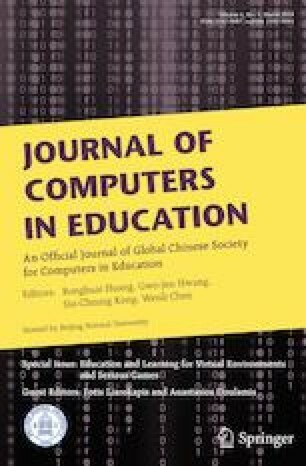 The use of immersive virtual reality in the learning sciences: Digital transformations of teachers, students, and social context. The Journal of the Learning Sciences, 17(1), 102–141. http://www.jstor.org/stable/27736722. Moore, P. (1995). Learning and teaching in virtual worlds: Implications of virtual reality for education. Australian Journal of Educational Technology, 11(2), 91–102. http://www.ascilite.org.au/ajet/ajet11/moore.htm. Resusciation Council UK (2017) Lifesaver vr. https://www.resus.org.uk/apps/lifesaver-vr/.